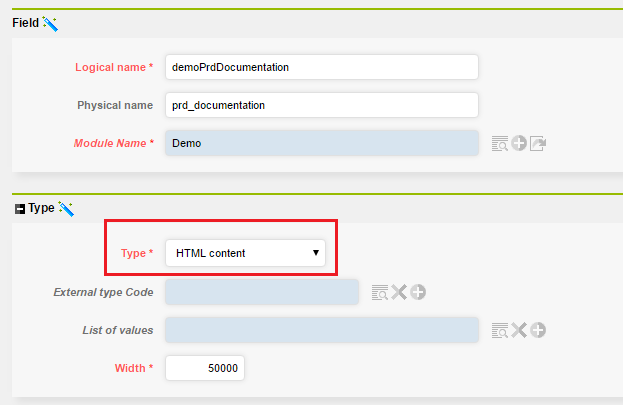 This document explains the HTML type object field configuration capabilities. You can define a field as an HTML content type. The field appears as a web editor on form and on editing list. The web editor used is an external tool, TinyMCE. It is highly configurable. You will find all documentation and how to configure it on TinyMCE website. You can overload default options thanks to system parameter HTML_EDITOR_PARAMS. It is not available by default so you may need to create it.